Learn today: 1) How the blog of a real estate agency went from 2K to 2M monthly visits in two years, 2) insights from a thorough lead-generation interactive research, 3) what three professional copywriters say about high-performing landing-page copy, and 4) what online retailers can do to win the upcoming Christmas holidays. 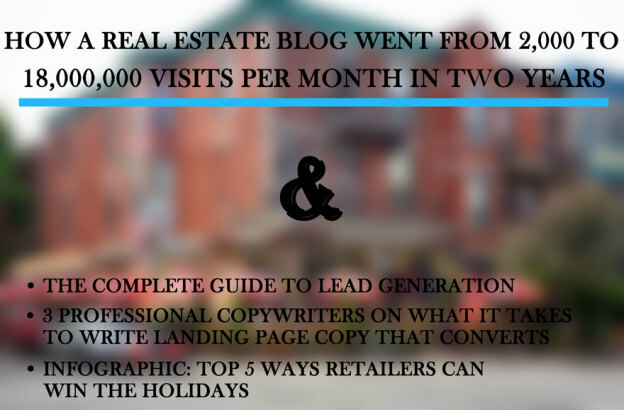 How A Real Estate Blog Went From 2,000 To 18,000,000 Visits Per Month In Two Years – There is a good reason why some strategies are used on the Internet, and that is because they work. Movoto (real estate company) applied a scientific method to get more traffic, and this is the result (click above). The Complete Guide to Lead Generation – Before getting to the “sales” stage, you need leads, and lead generation has its own challenges. This lead-generation interactive study is a great resource to read, bookmark, and absorb in its principles. 3 Professional Copywriters on What It Takes to Write Landing Page Copy that Converts – Although some of you may know the principles outlined in this post, the article is a very good reminder on what it takes to write good landing-page copy that actually converts. INFOGRAPHIC: Top 5 Ways Retailers Can Win the Holidays – With Christmas around the corner — and the shopping season officially begun already — you want to have a look at this greatly crafted infographic for online retailers. 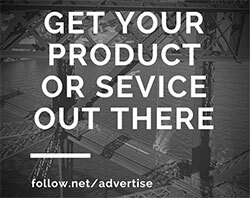 This entry was posted in Customer Acquisition Strategies and tagged blog, copy, copywriters, landing page, lead-generation, online retailers, professional, research, traffic on December 12, 2014 by Davide Di Prossimo.